Thank you for all the compliments on the Winter 2019 issue with the El Triunfo cover by Kenny Viese. Both long-term residents and newcomers enjoyed the trip down memory lane with tales of local history and personalities. We are sure that you will enjoy this issue with our annual cover by the multi-talented Kate Turning and her team. 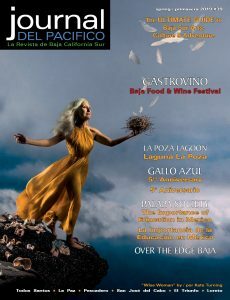 Kate Turning also provided the stunning images for this year’s GastroVino Baja Food & Wine Festival feature. This popular festival (not to be missed) is now in its eighth year. Check out our stories to find out what’s new this May. In a strong bid to conserve local Todos Santos ecosystems and biodiversity, Dr. Roberto Carmona and his colleagues Gerardo Marrón, Adriana Hernández Alvarez, Abigail Rivas, and Gustavo D. Danemann documented the wildlife and vegetation at the lagoon at La Poza during dozens of visits from 2014 to 2016. While the Todos Santos community helped, Dr. Carmona and his colleagues’ was largely self-funded and resulted in a report submitted to the Mexican government to have the lagoon declared an Area Critica. The lagoon at La Poza is a prime habitat for the critically endangered endemic bird species, the Belding’s yellowthroat. Bryan Jáuregui of Todos Santos Eco Adventures tells the tale in this issue. Local photographers Claude Vogel, Alvaro Colindres, and Kaia Thomson share some of their healthy and unhealthy lagoon photos in the story. Amor d’vino has moved to a new location on calle Militar in Todos Santos. 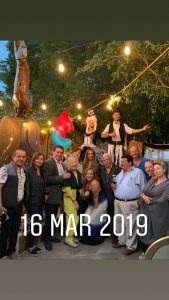 You will find it just around the corner from Todos Santos Brewing and across the street from Bodega Lizzaraga and Que Rico. Stop in and see their great wine selection. Rancho LaVenta is a jewel located between San Antonio and San Bartolo at km 144.5. Cozy casitas include gourmet breakfast, cooking facilities, and a unique pool and sauna. Taste estate wines or buy a bottle and enjoy it poolside. Check out the art studio and tour the working ranch. Other activities include hiking, birding and horse riding. 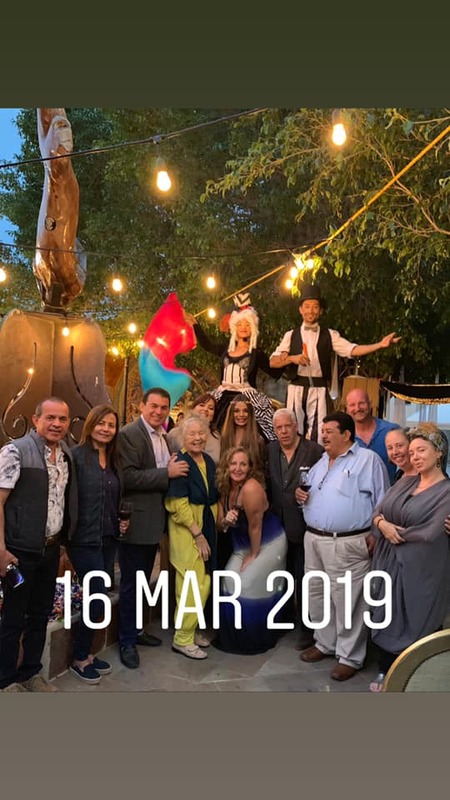 Besamé Mucho Bazaar and The Baja 100 teamed up for a fun-filled 2nd anniversary party for Besamé Mucho on the plaza in Todos Santos this past March. Stop by the store and explore its treasures from around the world. 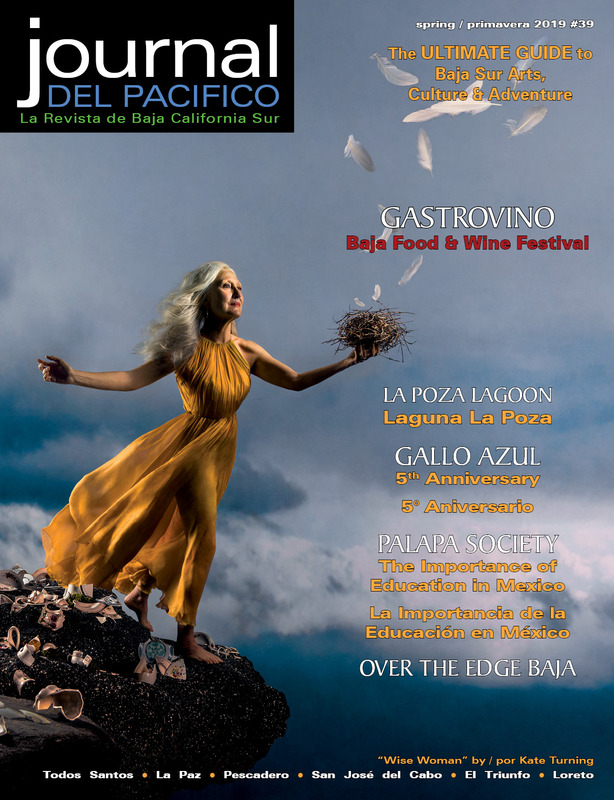 Gallo Azul Pizza Art Bar is celebrating their 5th anniversary in Todos Santos, read the interview with owner Alan Becerril in this issue. 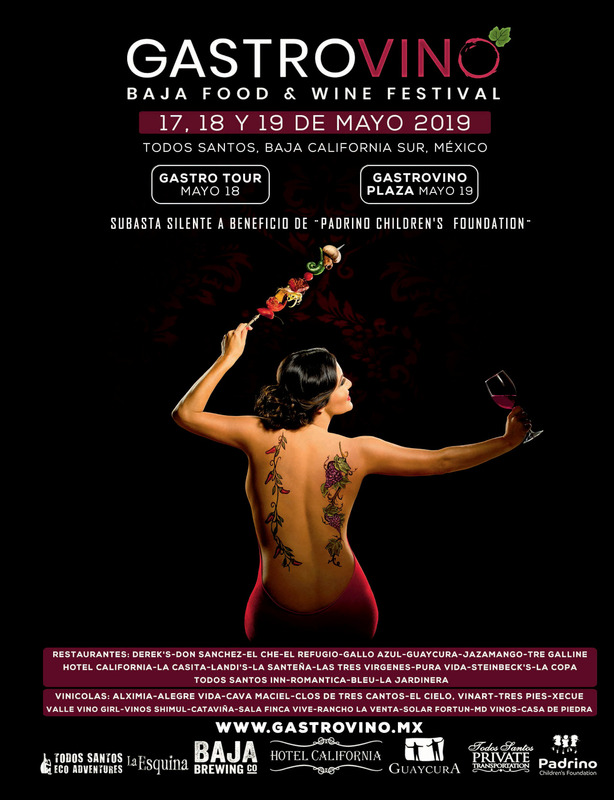 April 26th, The First Festival de Mole will take place in the Todos Santos Plaza Publica. It’s a great opportunity to sample moles from 15 different chefs. The Palapa Society of Todos Santos A.C. understands the importance that education makes in a child’s life and future opportunities. Read the article in this issue to find out how you can make a difference. Since December 2017, Over the Edge Baja (OTE) bike shop has been the soul center of destination mountain biking in Todos Santos. OTE stores are experts in providing professional, technical service for your bicycle and they stock high performance dream bikes that you can rent or buy. Over The Edge is all about connecting people to places and building trails along the way. Check Bleu Mediterranean restaurant’s Facebook page for their dinner schedule and special events like paella nights. Shut Up Frank’s, where the locals hang out, is open six days a week with happy hour 4 to 6 pm on weekdays. We’ve heard that their blue cheese burger is to die for. Stop in and find out! We’ll see you again with our last issue of the season, Summer 2019. Deadline is May 10.